The long-anticipated arrival of 5G is upon us. And along with it come wide-ranging possibilities. The onset of 5G promises to reimagine the future of entire industries, including mobile carriers, telecom companies, media monopolies, technology corporations, and the Internet of Things. 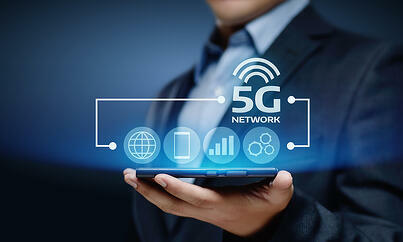 With its unprecedented 1 Gbps or more of data speeds, dramatically improved latency rates, and its ability to connect to multiple smart devices all at once, casual observers may wonder if the advance of 5G networks will make cell signal boosting technology obsolete in the near future. As 5G ushers in a massive technological integration of connected devices, the concerns about reliable cell connectivity and signal strength will rise exponentially. As frequencies go higher, the physics of going through building materials will only worsen—increasing cell signal decay. Advanced applications for 5G networks, such as self-driving cars, will demand greater levels of reliability and millisecond responsiveness—without the risk of service interruptions. Retailers will also expect seamless connectivity as they rely on 5G’s capabilities to target each individual customer and tailor experiences for them. Not to mention 5G’s enhanced encryption capability. To actually deliver cell service at a sustained 1 Gbps performance level—with up to one million devices connected per square kilometer—bandwidth is needed to fill in 5G network coverage gaps. Despite the hype around 5G eclipsing the existing carrier network structure, today’s 4G LTE networks will provide an essential fallback layer for users into the foreseeable future. Innovations in cell signal enhancement will also prove valuable where 5G coverage is lacking. Ahead of 5G’s debut, Wilson Electronics began the groundwork to work on new high frequency bands back in 2015. By working closely with the FCC and mobile carriers, Wilson is developing signal booster solutions to address the emergent need to keep people and devices connected. Solutions that meet exacting industry standards—designed to enhance 5G, not interfere with it. As long as natural and man-made barriers to cellular signal exist, cell signal boosting technology will remain crucial to the success of any future cellular network—regardless of latency or speed. Which is why Wilson will continue to improve connectivity wherever and whenever it’s needed. Contact your local Accu-Tech representative to learn more about Wilson's solutions.